Allow yourself the luxury of staying in the best of our rooms. 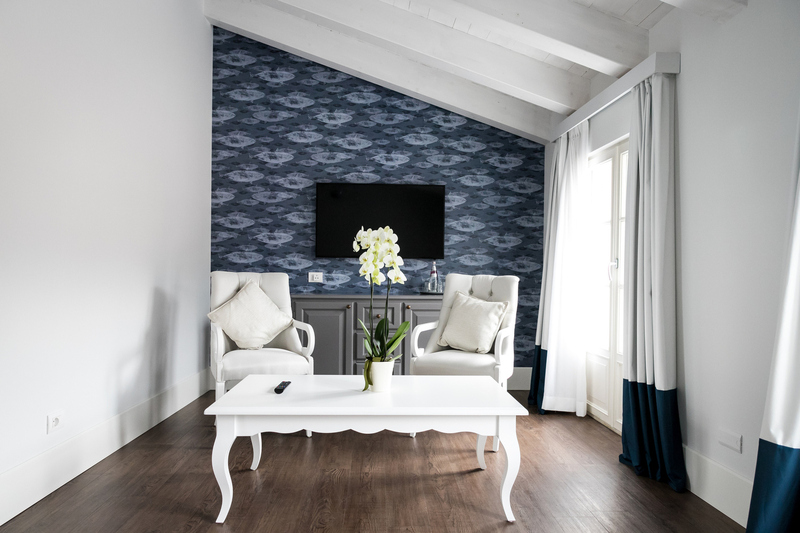 The Executive Suite was created in 2017 by the Verbanese architect Mauro Bissattini. Every detail has been designed to make you feel like you’re in a dream. Modern furnishings and soft colors will enchant you in a warm embrace. 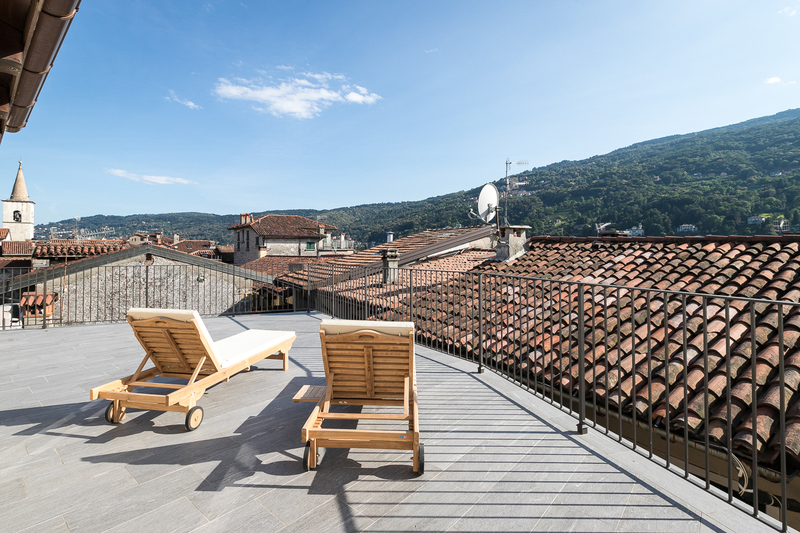 The living room has a large terrace overlooking the mountains and the characteristic roofs of the island. It is the perfect place for sunbathing while enjoying a quiet out of time. The master bedroom has a terrace overlooking the lake. Can you imagine sitting here reading a book or enjoying an aperitif in total tranquility. Contact us or use our online booking to receive a personalized quote. We apply a dynamic pricing, check all prices according to the day of stay. 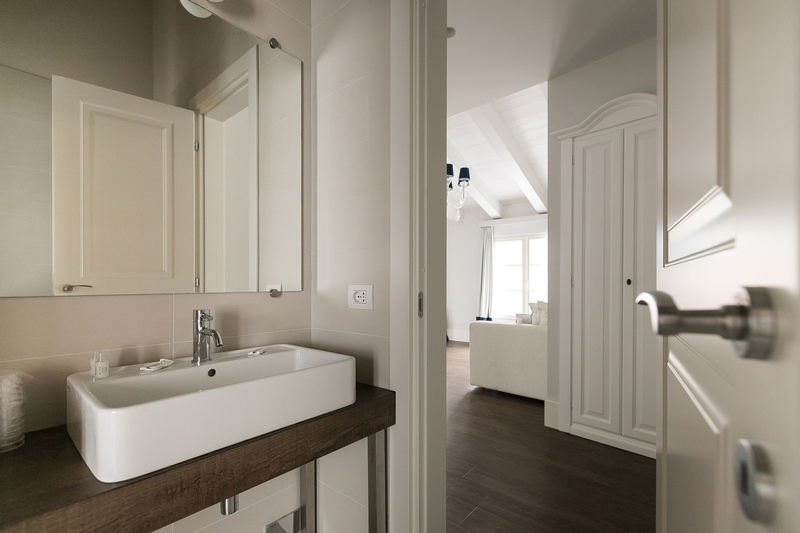 Executive Suite 50 square meters. Bed: king-size bed, sofa bed convertible into two comfortable single beds and possibility of a cot. 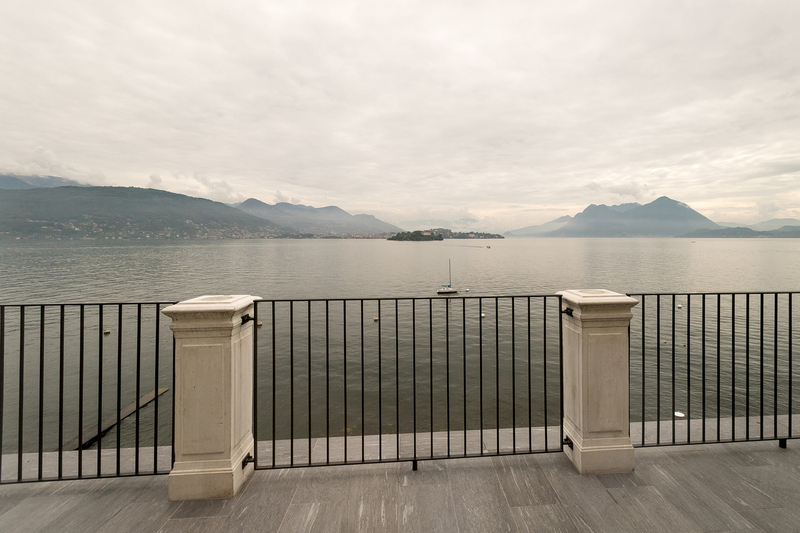 View: terrace with lake view + terrace with mountain view and island roofs. 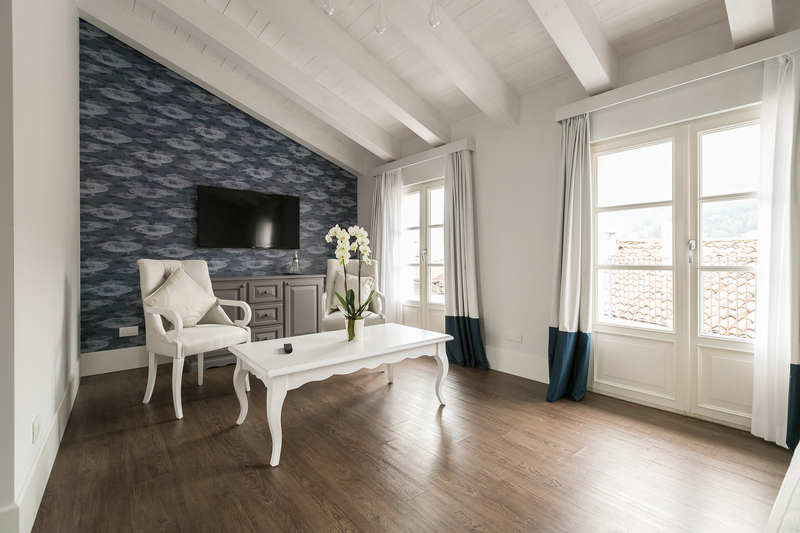 Decorated in cozy white and blue colors with exposed beams. 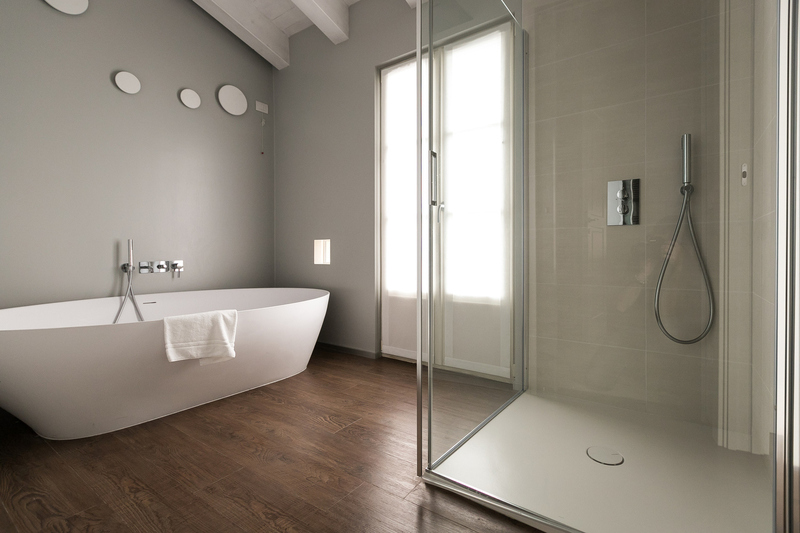 Warm parquet flooring. 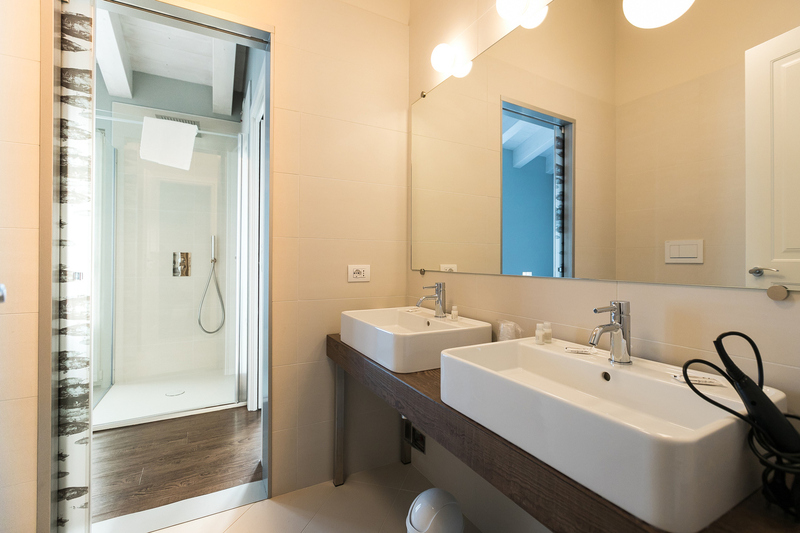 Bathroom with separate areas: on one side walk-in shower with waterfall or rain flow, Antonio Lupi design bathtub, on the other side double sink and toilet. Imagine taking a private motorboat from Stresa and being escorted to the Suite where you can dine in peace and enjoy the sunset. You will always give a different meaning to this experience and live a moment that will remain indelible in your memories. 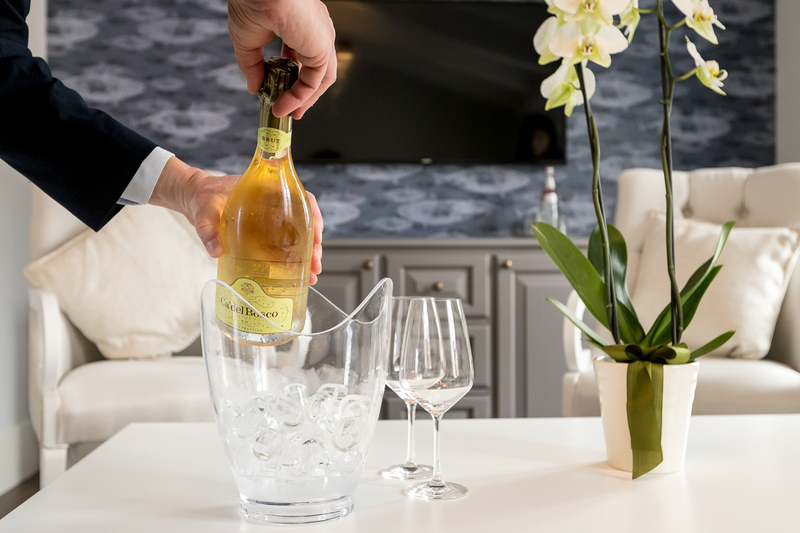 The experience includes: transfer from Stresa by private motorboat, 4-course dinner in the room, with drinks and wines of our selection, personal waiter, overnight stay, breakfast, transfer to Stresa by private motorboat the next day. 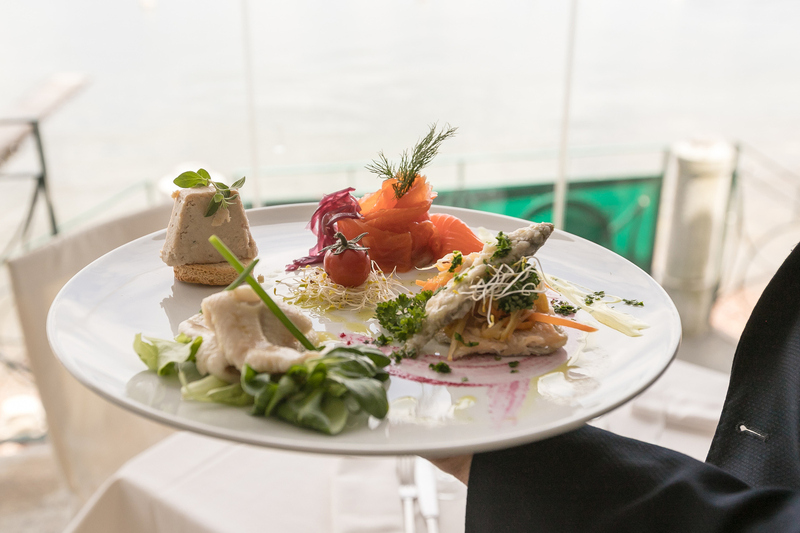 An exclusive dinner created by a chef of excellence at the restaurant Piccolo Lago. The experience includes: transfer by speedboat from Stresa, overnight stay in Suite, taxi to the restaurant, starry dinner, motorboat to return to the island, breakfast, transfer back to Stresa the following day. 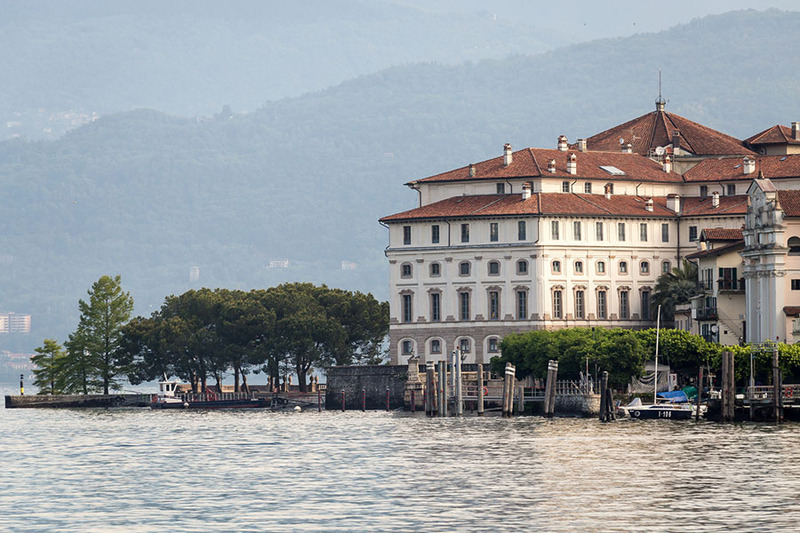 If you want to give a unique day to experience the beauty of Lake Maggiore at your own pace, this is the experience for you.A private guide will explain the curiosity of the places visited, you can take all the time you want to experience the Borromean Islands and the lake. 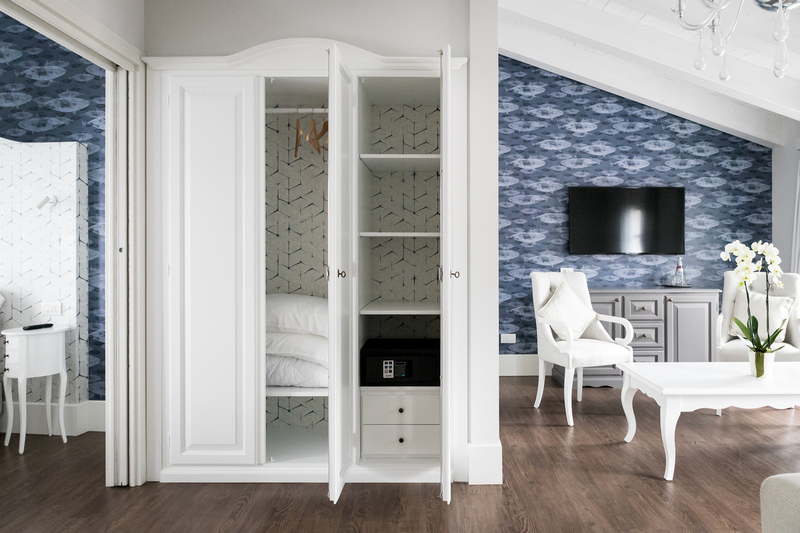 Upon returning you can relax in our Suite, the most exclusive of the island. The experience includes: transfer by speedboat from Stresa, visit of choice between Isola Bella, Isola Madre or Santa Caterina, entrance tickets and guide dedicated to you, overnight stay in Suite, breakfast and return transfer to Stresa the following day. Are you lovers of adrenaline and exclusive experiences? Then you can not miss this exciting afternoon ride on Lake Maggiore with offshore or in Riva motorboat. To end the day you will stay in our Executive Suite where you can admire the sunset and enjoy total privacy. The experience includes: transfer by speedboat from Stresa, exciting afternoon ride with an exclusive offshore or Riva motorboat with driver, overnight stay in Suite, breakfast and return transfer to Stresa the following day.